There was a break-in at a multi-unit residential building on Tuesday that may have involved the use of the master key meant for the mail carrier. 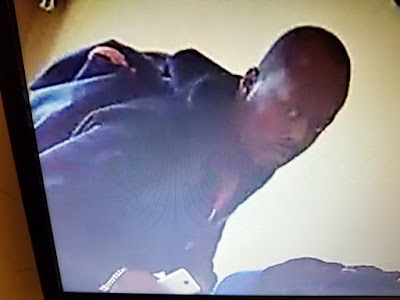 The condo association has been in touch with residents at other burgled buildings in the area who believe that entry to their buildings was made by thieves using the same master key. The police detectives are taking this seriously and there are clear pictures of the two men entering and exiting the building. If you recognize them, please call the 19th District Police and request to speak to detectives. Call 312-744-0064 with any information that might help them. "The attached photographs were taken from our security camera at 4725 N. Sheridan [Tuesday]. 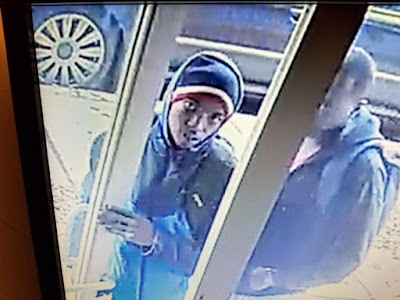 These two broke into our building at 11:58a.m. and left shortly before 12:30p.m. They broke into a specific unit in the building (UU note: they jimmied open the unit door with a crowbar) and stole a considerable amount of property including computers, cameras, and credit cards. The police were called and responded to the scene, dusted for fingerprints, and we are awaiting their completion of a report. 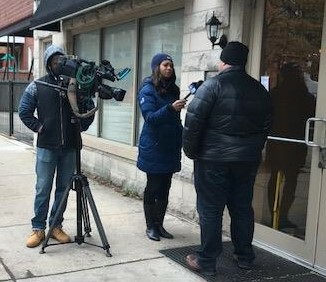 I have contacted our security company, too, to save the pertinent portion of the video which we will provide to investigators and the United States Postal Service because the video showed the two reaching toward the USPS lock box and then easily entering the building by unlocking the door. 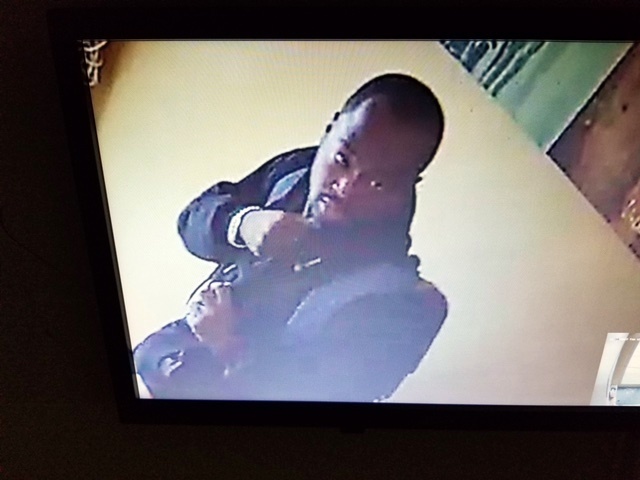 Shortly thereafter, while the two were still in the building, our mail carrier arrived and opened the lock box and he can then be seen looking around as though the key to enter the building may have fallen to the ground. He then rang buzzers before finding someone who was home that could let him into our building. It is clear that these two took the USPS key, and kept it. We have changed the locks on our building but expect that this is their practice, and that other buildings' USPS keys are being (or will be) taken, and that these two will re-enter buildings if the locks are not changed. The photos and story were shared on the Uptown Chicago Neighborhood Watch Facebook page, and responses indicate that other buildings' USPS keys have gone missing and that other robberies have been attempted. They worked quietly and quickly enough so as to not disturb other residents who were home when this occurred." Additional coverage is available from WGN and Channel 5. This is a federal crime. This could be a federal crime because of the use of the USPS key. If they stole from mailboxes it would certainly be a federal crime. Post office needs to change the postal locks for all the buildings that that key opened. These two morons need to quickly use their ill gotten gains to hire Brendan Shiller Esq. to defend them. Best bet is to turn themselves in because someone will likely ID them within days. If no one does cops or US Postal Inspectors should offer a $500 Mariano's gift card for information leading to an arrest. Someone will call within the hour. If the feds go after them they ain't gonna like it. No parole in the federal system. Yes,there is parole in the federal system.Feds wouldn't even pick,it up.They will let the state prosecute. No parole in federal system. Look it up. Probation, good time etc aren't parole. As for feds picking it up you don't know whether they would or not. You make declarative statements with little or nothing to back it up. Leaving a little wiggle room in statements is a good thing. Like leaving wiggle room in your pants after you eat a big meal. Kinda have to wonder if the postal carrier was in cahoots with these two. Also, I saw the report on the local NBC news on these two, but in the video they showed, they blurred out the suspects faces. Any idea why on earth they would do that? Shouldn't they want to clearly show their faces to the public in order to help identify and capture them? @Sean, IMO the neighbors should printout the pictures of the thugs and post them on the poles in the neighborhood, in every coffee shop, in every store. "Wanted" or "Beware" posters.